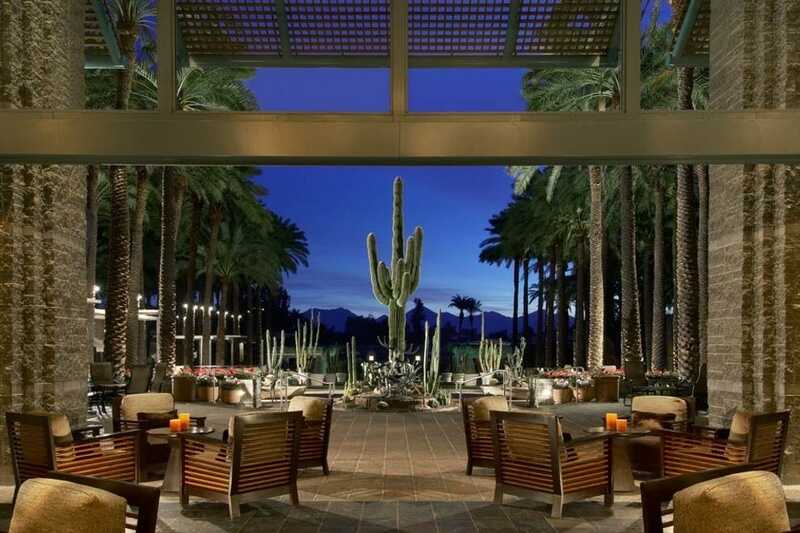 Romance comes easy at the Royal Palms Resort and Spa in Scottsdale, which has been named one of the country's most romantic resorts by several top travel publications. The luxurious hotel resort has even coined a term to describe the kind of starry-eyed stay couples can expect at the Royal Palms: a "romantication." What makes the Royal Palms so romantic? It's in the details. The hotel staff works hard to set the mood for love by providing guests with rose-petal turn-downs, love notes, couples' massages at the Alvadora Spa. 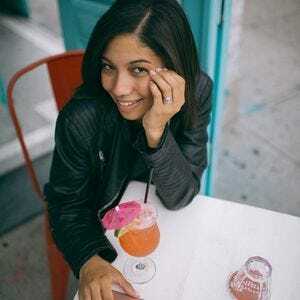 The staff will even help make arrangements for private plane rides or mountaintop proposals. 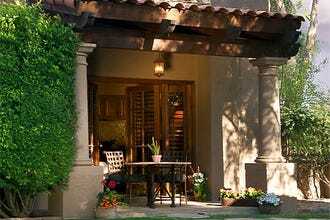 Another Scottsdale hotel that is a destination for romance is the historic Hermosa Inn (featured in the movie "Waiting to Exhale"). This boutique hotel, tucked away in the highly desirable Paradise Valley neighborhood, was once the home and studio of Western artist Lon Megargee. Today, the private suites are warmly and elegantly appointed with Southwestern furnishings and antiques. Plan on enjoying a long, leisurely couples' brunch at Lon's, the hotel's acclaimed restaurant. 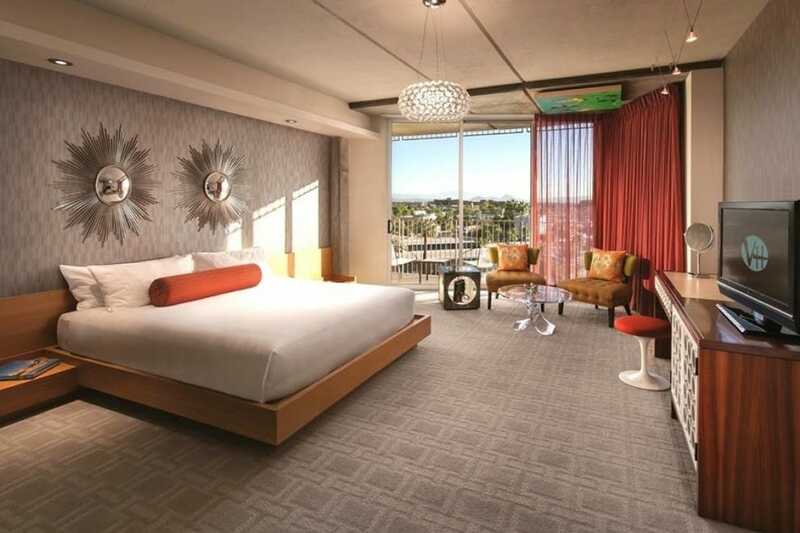 If you and your significant other want to enjoy the heart of Scottsdale's urban center, book a room at the always-fashionable Hotel Valley Ho. This mid-century gem is the place to see and be seen. Stake out a poolside cabana, order a drink from award-winning Cafe Zuzu, and enjoy some sunshine-filled downtime with your sweetie. 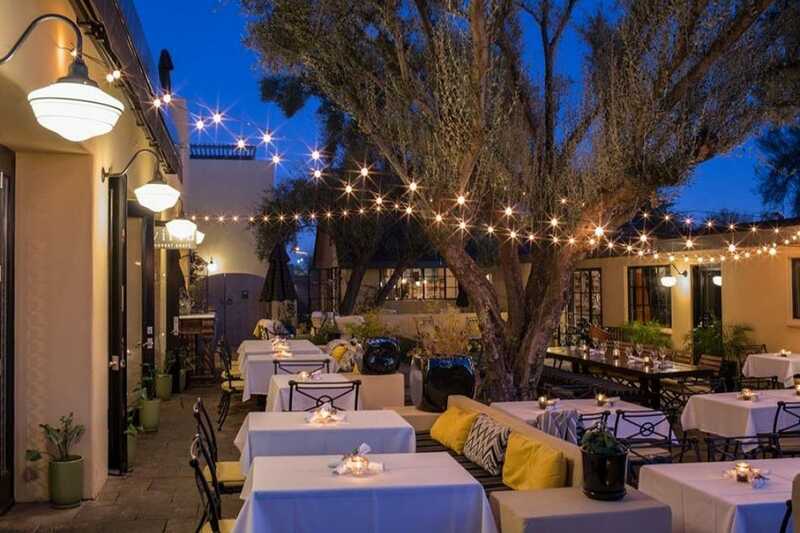 If you're looking for a more intimate stay in the heart of Old Town Scottsdale, book a room at the Bespoke Inn. The small, four-room inn offers unique comforts in a perfect location, just steps from Scottsdale restaurants, galleries and shopping. Plus, the inn is home to one of the city's best restaurants, Virtu Honest Craft. 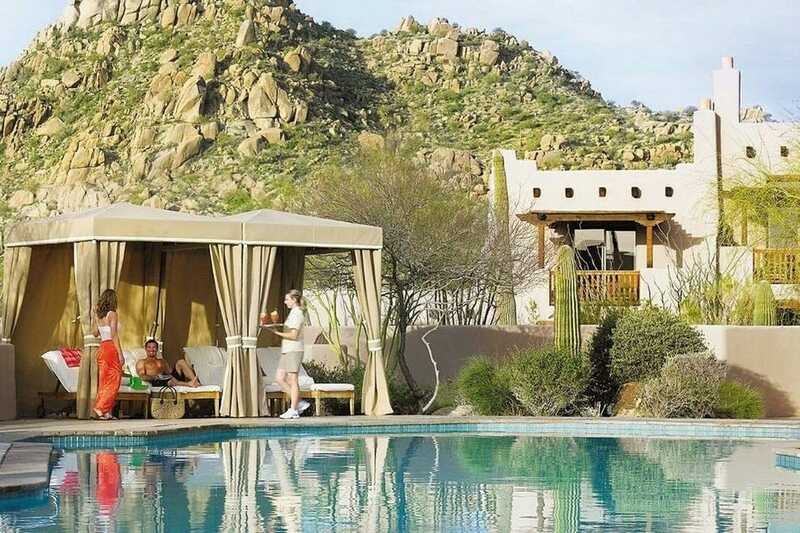 The Four Seasons Resort Scottsdale at Troon North is nestled at the foothills of Pinnacle Peak, where luxurious Southwestern-style casitas create a warm, comforting ambiance perfect for a perfectly relaxing desert getaway. Guests are invited to dine at Talavera Restaurant, a modern take on the classic steakhouse, which offers some of the best patio dining in the city and excellent views of the surrounding desert scenery. Guests also enjoy special privileges at Troon North Golf Club and Clubhouse, which earned the Four Seasons Resort Scottsdale the distinction of being named one of the top golf resorts in North America by Golf Digest. 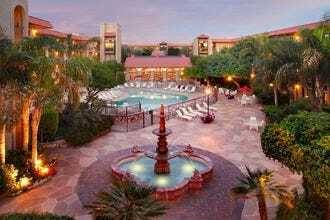 Where is the hippest place to stay in downtown Scottsdale? Although others may be vying for the title, Hotel Valley Ho continues to be Scottsdale's preeminent hip hotel. Built in 1956 and reopened in 2005, the hotel has a long and storied history as a destination for young and stylish travelers. Back in its early days, the hotel attracted a cadre of young celebrities, including Bing Crosby and Tony Curtis. Today, locals and travelers gather at the Valley Ho to mingle at the oh-so-cool ZuZu Lounge, relax at the VH Spa, or enjoy one of the spacious suites in the seven-story Tower, the elite hotel within a hotel featuring generously sized signature guest rooms. The Hermosa Inn, a boutique hideaway that was once the home and studio of Western artist Lon Megargee, features 34 hacienda-style accommodations and casitas on more than six acres of attractive desert landscaping. Each room and suite is decorated in an elegant and warm Southwestern style. Fireplaces, secluded patios, and vaulted ceilings are some of the amenities you'll find here. Most rooms also offer newly remodeled bathrooms featuring Waterworks fixtures, antique pedestal tubs, and luxe bedding. Complimentary high-speed wireless Internet is offered throughout the property. For some of the best dining in the Valley, reserve your seat at the Hermosa Inn's on-site restaurant, Lon's at the Hermosa. Formerly known as Kimpton's Firesky Resort, The Scott is one of the newer boutique resort offerings in central Scottsdale. The recently updated hotel boasts a unique Spanish Revival meets Bauhaus design, and it brings a dash of tropical chic to Scottsdale's crowded pool scene. It boasts an impressive indoor/outdoor lobby, with rattan furnishings and lots of greenery, which was inspired by the porches of Old Havana. As of 2017, guest rooms are in the process of being renovated to include private outdoor patios and balconies, as well as updated bathrooms. 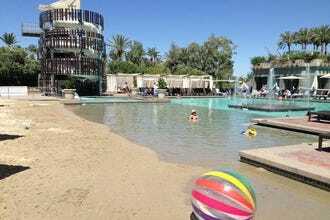 What hasn't changed, however, is the resort's killer location, which is convenient to both Old Town and north Scottsdale. This luxury boutique hideaway on Camelback has been a personal sanctuary for Hollywood celebrities, honeymooners, and solo travelers seeking a unique retreat in the desert. 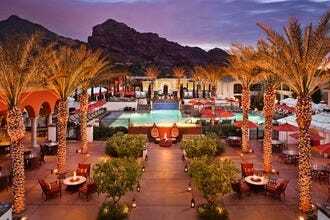 The resort overlooks Paradise Valley, offering spectacular views of the desert landscape. Guests are invited to relax in a spa or mountainside casita. Sanctuary Spa offers a host of Asian-inspired treatments and classes designed to relax and rejuvenate. Dine at the award-winning Elements, with cuisine designed by Food Network star Chef Beau MacMillan, or savor a signature cocktail and enjoy unrivalled views at the popular Jade Bar. 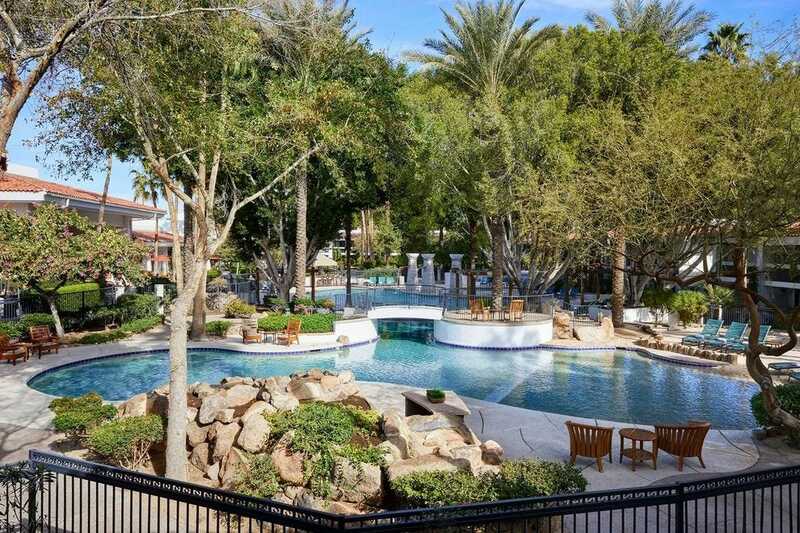 Tennis, hiking, lounging, shopping: it--s all at your fingertips during your stay at Sanctuary on Camelback, one of the Valley--s premier boutique resorts. This posh Scottsdale boutique resort and spa seeks to recreate the essence of southern Europe in the heart of Scottsdale. Montelucia is inspired by the rich history and sunny climes of Spain's Andalusia region. The resort is at the foothills of iconic Camelback Mountain, offering an ideal location for achieving a quiet, tranquil escape from the city. Enjoy amazing sunset and city views, great hiking, golf, recreation, and easy access to the nighlife, galleries and entertainment that Scottsdale is famous for. Montelucia is also home to the award-winning Prado restaurant and Joya Spa. 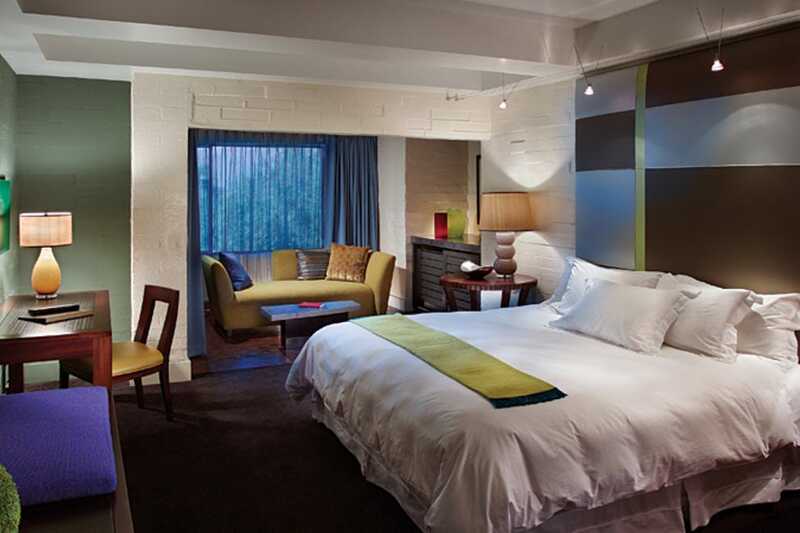 Guestrooms are comfortably appointed with deluxe furnishings, with many rooms affording great city or mountain views. 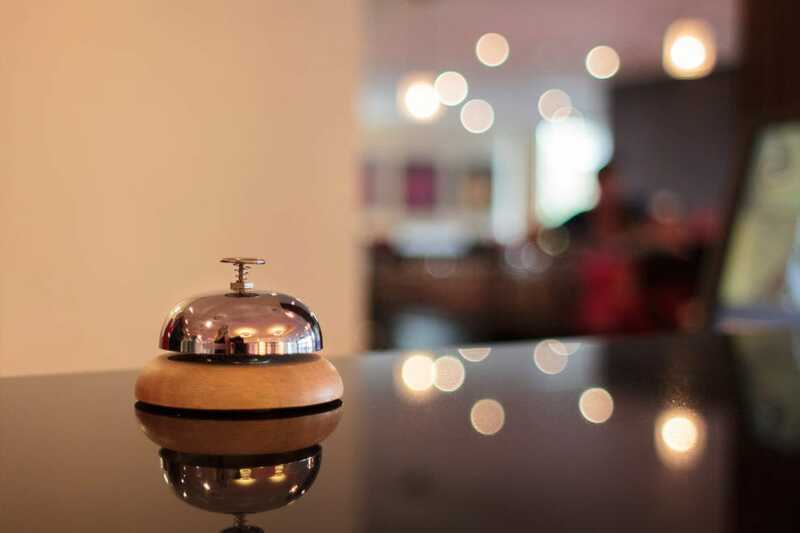 If you're looking for a boutique hotel in downtown Scottsdale, the Bespoke Inn offers a distinctive stay with luxury touches. The small, bicycle-themed inn only has four rooms, each decorated with unique decor and well-appointed with Kings Down mattresses, luxury bedding, 38″ flat screen TVs with expanded channel selections and small refrigerators. The three bottom-level floors have high ceilings and French doors that open up into a courtyard featuring mature olive trees and lots of cozy sitting nooks. The signature suite has reclaimed wood floors with French doors opening to a wrap-around balcony. All rooms have private baths. There is also a rooftop garden, 43-foot-long infinity pool, and Pashley bicycles that you can borrow to ride around downtown. One of Scottsdale's best restaurants, Virtu Honest Craft, is located on site. If privacy and luxury is what you crave, the Royal Palms Resort and Spa offers the perfect escape. 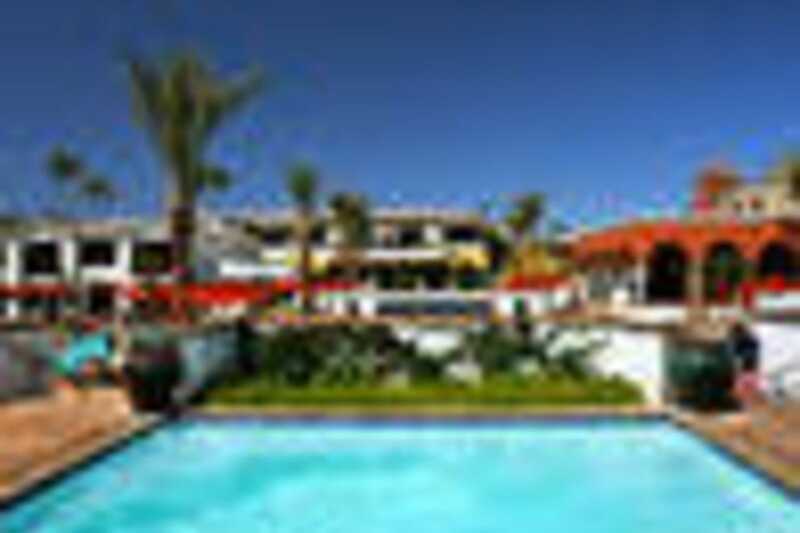 The property consists of 119 private casitas set amidst lush gardens scented with citrus trees and exotic flowers. Stone paths invite guests to enjoy a leisurely stroll across the resort. The decor is Old World elegant, with rooms furnished and decorated with European antiques and artifacts. 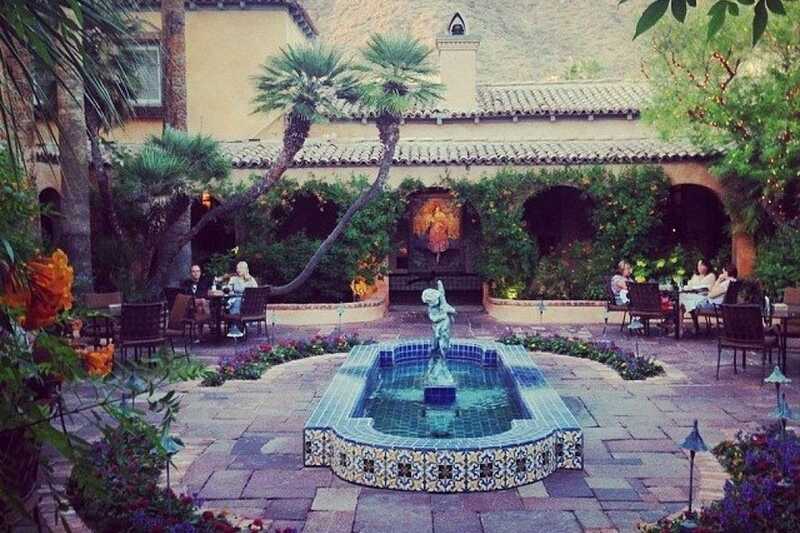 The Resort is also home to the four-star Alvadora Spa and one of Arizona's most romantic restaurants, T. Cook's. For couples seeking a romantic getaway, ask about the resort's special "romantication" packages, which feature custom romantic experiences tailor-made for you and your sweetie.